I always refer to a 1-2 carat Fancy Intense Pink diamond as a more “affordable” diamond investment. Their historical value is mind boggling, especially when we look back at their price behavior in the last 10 years. Back in 2007, a 1.23 carat Fancy Intense Purplish Pink diamond sold for $104,090.24 per carat at an auction (on November 28, 2007). Going forward 10 years, on October 3, 2017, a 1.99 carat Fancy Intense Purple Pink diamond was sold for $338,331.66 per carat. This means that over the last 10 years, the price tripled. Does that mean that every single pink diamond in this size category has performed the same way? Not at all. It will always depend on the strength of color (also referred to as the depth of color). Just for those that were wondering what was the price 10 years before that, back in 1997 – On April 28, 1997 a 1.33 carat Fancy Intense Pink was sold for $51,047.37 per carat! For those that have more of a means and want to increase their investments in fancy color diamonds, a 3-5 carat Fancy Intense Blue Diamond would be suitable. It would be less liquid than the 1-2 carat Fancy Intense Pink Diamond mentioned above, as the total price is higher and so less of a potential market exist. However, this does not mean that it will not sell. When you buy the best, it is easier to sell, as wealthy individuals always look for the best! On May 30, 2007, a 3.04 Fancy Intense Blue diamond was sold for $241,116.78 per carat. Going forward 10 years, on May 30, 2017, a 3.37 carat Fancy Intense Blue Diamond was sold for $828,830.56 per carat. And yes, for those that wondered what happened 10 years earlier – On April 6, 1998 (the closest data available to 1997), a 3.04 carat Fancy Intense Blue diamond was sold for $120,230.26 per carat. We see almost a similar trend as we did with the 1-2 carat Fancy Intense Pink data above. 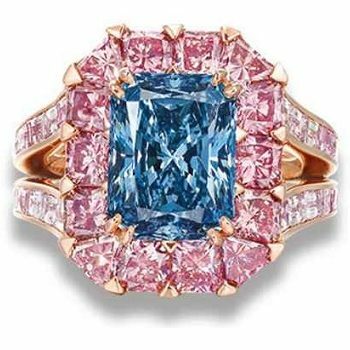 The ultimate fancy color diamonds these days are the ones that have an acute lack of supply, Fancy Vivid Blue diamonds. On November 14, 2007, a 4.16 carat Fancy Vivid Blue diamond was sold for $1,136,535.10 per carat. Moving forward 10 years, on May 30, 2017, a 3.98 carat Fancy Vivid Blue diamond was sold for $2,231,110.80 per carat. 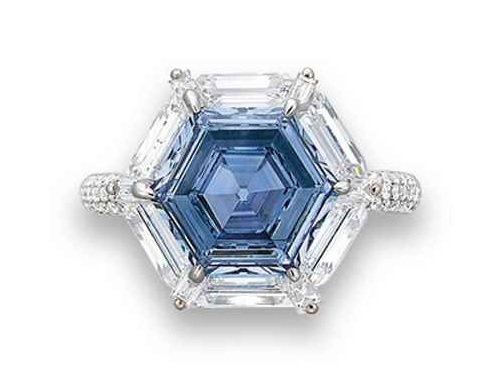 For those interested, back on May 1, 2001 (earliest recorded Fancy Vivid Blue diamond sold in the 3-5 carat category) a 4.50 carat Fancy Vivid Blue Diamond was sold for $297,181.78 per carat! Does this mean that in the next 10 years we will see the same trend in value movement? There is no way to know that for certain. What we do know is that fundamentally, the demand for unique fancy color diamonds is increasing dramatically compared to supply. There is no new and consistent supply coming up, especially since the Argyle mine, that produces 90% of global pink diamonds, is about to close in just 4-5 years. The only pink diamonds that will appear for sale are the rest of the 10% and any secondary market diamonds. In blue, too, supply is acute, while demand is getting stronger. People are more educated, leading them to understand and desire these diamonds more, and wealth (their ability to finally afford them) is only increasing. Although many investors are turning to other various exotic investments such as cars, wine, and musical instruments, this will not hinder prices continuing to climb. We also stick to our basic rule that says that an investor should also always seek advice from those that are experts in fancy color diamonds and that do not own any inventory in order to avoid a conflict of interest. 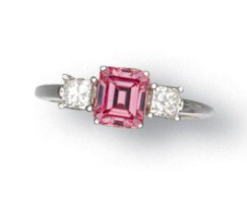 Got any questions about understanding the price behavior of pink and blue diamonds? Ask us in the comments!